Internal Allen Head Pipe Plug, 1/4 in. NPT. These plugs from Aeroquip are the ideal way to block off unused fittings or ports in various components. Aeroquip Fitting, Internal Allen Head Pipe Plug. Internal Allen Head Pipe Plug, 1/8 in. NPT. 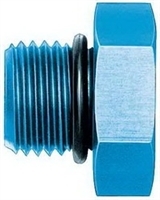 AN tube caps prevent dirt and debris from entering externally threaded hose fittings. 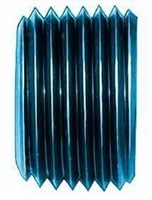 These reusable Aeroquip AN tube caps prevent dirt and debris from entering externally threaded hose fittings. Internal Allen Head Pipe Plug, 1/16 in. NPT. Internal Allen Head Pipe Plug, 1/2 in. NPT. Internal Allen Head Pipe Plug, 3/8 in. NPT. Aeroquip Fitting, -6 O-Ring Boss Plug. 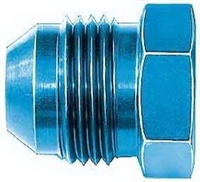 Internal Allen Head Pipe Plug, 3/4 in. NPT. 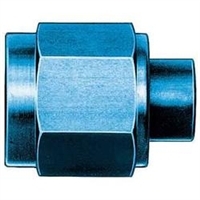 Internal Allen Head Pipe Plug, 1 in. NPT. Aeroquip Fitting, -8 O-Ring Boss Plug. Aeroquip Fitting, -4 O-Ring Boss Plug. Aeroquip Fitting, -10 O-Ring Boss Plug. Aeroquip Fitting, -12 O-Ring Boss Plug.